Written by Tim Gabbett and the team at Gabbett Performance Solutions. This is the first entry of a two-part series focussing on the biggest challenge for high performance practitioners today, and the best practice to address it. The 21st Century has brought with it a myriad of opportunities and challenges. The internet has introduced us to the Information Age, granting us access to endless content at our fingertips. Sports professionals now have access to theory, research and data monitoring information that would have been unimaginable just 20 years ago. But the ‘fountain of knowledge’ that this era brings is not without its challenges. The challenge of the modern practitioner is no longer the search for information; but rather the ability to find meaning when drowned in it. The best practitioners are able to access the wealth of information available to them, take what is relevant, and convert it into actionable results. In this article I will discuss how the modern era has changed high performance sport, the present challenges facing practitioners in the industry, and how the best in the business combat it. Technology has become such a crucial part of our day-to-day life that we perhaps forget how truly revolutionary it is. The internet has changed the way we do research, has revolutionised the way we learn, while data monitoring technology has granted us access to a wealth of tracking information. The internet has given us an incredible ability to share information. Through their followings on LinkedIn, Twitter, Facebook and the like, keen practitioners today are kept aware of the latest developments in their field. Social media has interconnected our field in a powerful way, allowing the seminal works of sports science to be shared and accessed easily by the broader network. We can contrast this with the research techniques of the past. Thirty years ago you needed to be aware of what you were looking for in order to find it; today the best content finds you through our interconnected world. I’ll use one of my most-read papers, The Training Injury Prevention Paradox, as an example of the ability for information to be shared in today’s world. This paper has been downloaded almost 100,000 times – a number that astonishes me but proves the connective power of the Information Age. It is very difficult to imagine any single publication (let alone one in sports) receiving such a broad global audience 30 years ago. Practitioners today are empowered by this information and have the ability to read and learn more about their field with ease. Developments in monitoring technology too, have empowered sports scientists to access unparalleled information in their field. Today we can monitor running loads and throwing loads, stress and sleep quality, giving practitioners crucial insights into an athlete’s wellbeing. Computing technology has allowed us to process and analyse this information in ways that could never be done by hand. There is no doubt that sports medicine staff find themselves in the golden era of information availability. Practitioners today have greater access to information than any previous generation. Despite the abundance of information presenting golden opportunities in sports today, there comes a point when we can be overloaded by information. With countless publications, endless theories and innumerable variables which can be tracked, practitioners can be overwhelmed. The challenge of today is for sports scientists to sift through this information for what is trustworthy, accurate, useful and reliable – and find a way to apply it in practice. Even the wisest, most experienced sports scientists will be overwhelmed if they try to apply every theory simultaneously. The best teams will stumble if they try to utilise all their monitored data all of the time. Further, if performance staff are focussing so broadly, they will undoubtedly misapply the information they see. Meaning will become jumbled, staff and players alike will be confused, and the best results will not be achieved. The challenge for strength and conditioning staff today is to be able to filter the information they are constantly taking in. The best practitioners today are able to attend to the relevant information, while disregarding that which isn’t important. Those that consistently achieve results will be able to take theory and data, and apply it into practical solutions for their teams. This is not an easy skill to acquire. The experts at the top of their field can instinctively see it, smell it and differentiate important information from junk. The only way to reach this level is through experience, practice and education. While the first step is to diagnose the challenge for practitioners, it is another journey altogether to be able to approach this challenge with the best practice. The next entry of this series will address the best techniques practitioners can develop to take on today’s challenges. 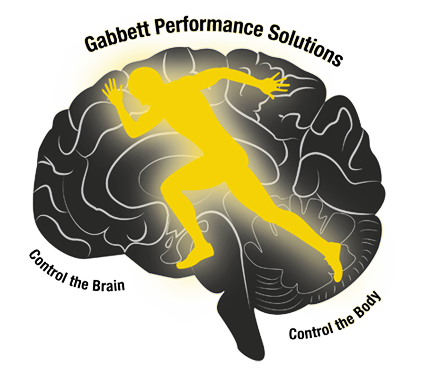 For more information about Tim Gabbett and Gabbett Performance Solutions, contact info@gabbettperformance.com.au.